To add a class to your Expo registration, click here. Throughout the specialty coffee supply chain, key purchasing decisions are being made based on the evaluation of sample-roasted coffee. These choices have a significant impact on the livelihood of both the seller and the buyer. For proper evaluation, samples must be roasted consistently and cupped with established protocols. In this hands-on workshop, students will learn the critical components of a sample roasting program. These include receiving, tracking and storing samples; logging roast data; and maintaining equipment. Participants will practice sample roasting, using fluid-bed style roasters. Many specialty coffee companies are founded with more in mind than just profit. The coffee industry is full of businesses that also want to operate in a way that is good for their employees, their communities, and their entire supply chains. Benefit Corporations and Certified B Corporations offer a framework that enables for-profit companies large and small to measure their efforts and benchmark themselves against other companies across industries, as well as a legal status that recognizes their commitment. In this session, students will learn the differences between Benefit Corporations and Certified B Corporations, and learn what opportunities are currently available to them in the United States and beyond. Participants will review case studies and testimonials from established Benefit Corporations and Certified B Corporations. This interactive, tabletop workshop includes an introduction to the process and forms, a self-assessment to identify areas or need or improvement, and tips on what to expect from the journey. This particular workshop may include some pre-event assignments to maximize the value of the session. This workshop is best suited for owner/operators, investors and managers involved in the strategic outlook of a coffee business. This workshop explores and challenges common thoughts and claims in the roasting community about the association between certain flavors and particular brands of roasting machines and systems. In this hands-on workshop, attendees will be able to explore for themselves the possibility that it is the profile that drives flavor differences and not the roasting system. In the first part of the session, participants will taste the same coffee roasted on three different systems, blind. Then, working in groups, they will roast one coffee on two different systems with the exact same profile, Overall, the workshop is designed to give students a greater understanding of the relevant control points in a roast profile and a clearer perspective on coffee roasting and roasting systems. Meeting the needs of the specialty coffee consumer is crucial in the success of any coffee business. 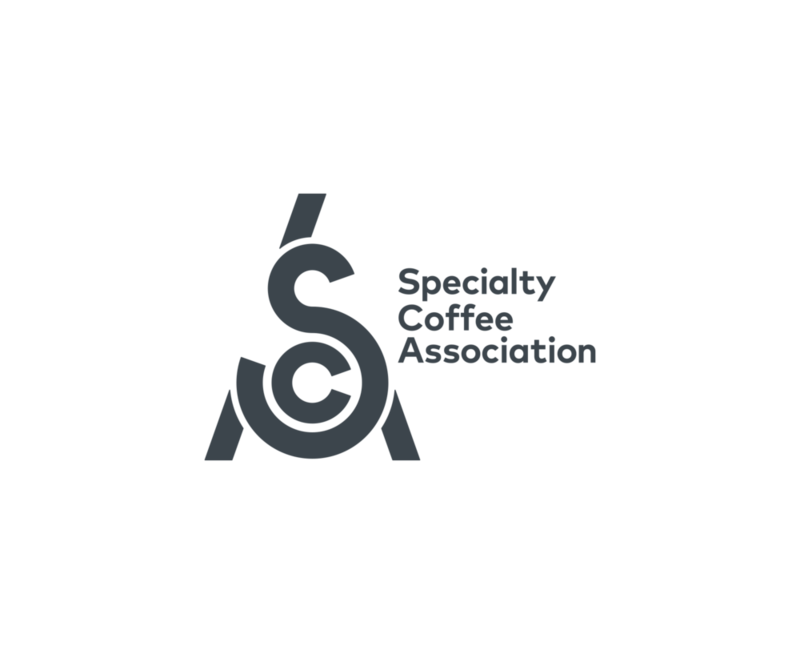 For the past 7 years, SCA has been conducting a variety of research studies aimed at increasing our understanding of the specialty coffee consumer. These studies range from qualitative focus-group sessions to quantitative survey-based research. This workshop will explore insights from each study, inspire thought and conversation around identifying who the consumer is and how to better meet their needs. Participants will engage in activities, receive copies of each report, and begin the process of developing a design for the experience they want to create for their customers. This interactive workshop explores the analysis and treatment of water used to brew coffee. Participants will learn how to use analysis tools and the science behind them. Students will also learn the technology and application of modern treatment systems in order to achieve different water quality goals. Exercises in this section will include the manual treatment of water to illustrate the process. Participants are encouraged to bring their own water samples for the analysis exercises, if travel arrangements permit. The degree and style of a roast has a significant impact on the flavor of coffee. In this hands-on exploratory workshop students will learn how to evaluate coffee over a range from light to dark roasts and decide on an approach to roasting that considers the coffee, the customer, and the business. Water chemistry plays a critical role in the extraction and flavor of coffee. Although treatment technologies are available to help produce the desired water profile, coffee professionals cannot always control the water that is available for their operation or customers. In this interactive workshop, participants will explore strategies for adjusting variables in roasting and brewing to adapt to water that is not ideal. The session will include sensory activities related to roast profiles and hands-on brewing exercises. This workshop is well-suited for those who have a basic understanding of roasting and brewing processes. Understanding customer service and job flow are imperative parts of being a skilled, specialty coffee equipment technician. Students will evaluate the key elements of customer service and work together as a group to apply these principles to different situations one would encounter in the field. They will identify different types of jobs and the correlating paperwork and responsibilities that are associated with completing them. The class will collectively review and discuss the role of a technician and the limitations of that role, in relation to safety and regulations. This class is open to and valuable for technicians of all skill levels. Seasonal beverages can bring excitement and notoriety to a café menu. Not only can these menu offerings keep things interesting for a customer base, but this creative challenge can inspire even the most passionate barista. Cold brewed coffee is a flexible, concentrated ingredient that can be a springboard into an infinite number of flavor pairings to refresh and intrigue consumers. In this workshop, students will review common flavor associations with seasons and holidays; explore prominent and experimental approaches to flavor pairings; demonstrate good drink building practices to achieve flavor balance; and participate in creative exercises. ALLERGEN Warning: This workshop requires the tasting of actual foods, including, but not limited to: Nuts, peanuts, wheat and dairy. If you have a known allergy to any of these food products, you are likely to be at risk for an allergen exposure. There is a high risk of cross-contact with the allergens in this workshop due to the number of students attending. Please plan accordingly. Seasonal beverages can bring excitement and notoriety to a café menu. Not only can these menu offerings keep things interesting for a customer base, but this creative challenge can inspire even the most passionate barista. Espresso is a flexible, concentrated ingredient that can be a springboard into an infinite number of flavor pairings to refresh and intrigue consumers. In this workshop, participants will review common flavor associations with seasons and holidays; explore prominent and experimental approaches to flavor pairings; demonstrate good drink-building practices to achieve flavor balance; and participate in creative exercises. Maintenance of equipment is a vital part of the ongoing success of any roasting business. Frequent, knowledgeable and hands-on attention paid to the roasting machine will result in more consistent air flow and more dependable mechanical operation, ensuring that the machine is never working against the operator. This class will give both beginning and experienced roaster professionals the tools to evaluate and complete the basic maintenance tasks that are required on their machines. Participants will learn about universal maintenance issues, and also spend time under the hood of several different brand and styles of roasters. This workshop includes a visit to the Expo show floor. The SCA Flavor wheel is a tool designed to unify the language around coffee flavor. This class describes the development and science behind the 2016 version of the wheel. Participants will learn how the World Coffee Research Sensory Lexicon was formed and how to use the lexicon alongside the wheel. Students will practice describing coffees with a wide variety of official references and start standardizing their coffee vocabulary. This workshop is well-designed for anyone who wants to Improve the way they communicate within their company, with their vendors, and with other members of the supply chain. Sweetness is one of the most desired characteristics in coffee, and a chief indicator of quality harvesting, processing, roasting and brewing practices. In this interactive workshop, students will learn about the chemical origins of sweetness in coffee and the science behind their perceptions of it. By tasting coffees paired with analysis of roast profiles, participants will learn how to identify their desired type of sweetness for different coffees, and what approaches to roasting might accentuate those characteristics. This sensory and analysis workshop is best suited for those with a basic understanding of the roasting process, and does not include hands-on, roasting activities. This workshop takes participants on a journey inside the equipment commonly found on cafe bars - espresso machines, coffee brewers and grinders. In this interactive workshop, members of the Coffee Technicians Guild will take participants on a guided tour of these machines, introducing participants to the components. Instructors will cover how each component works and what happens when they fail. Participants will leave this session with a greater understanding of how their equipment operates and how best to communicate problems with service providers. There are general guidelines for properly extracting coffee as espresso. Yet, even within these guidelines, there is a wide range of experiences available for consumers around the world. These reflect regional taste preferences; varied philosophies of retail operators and baristas; and the sourcing and processing practices of coffee roasters. This interactive workshop helps participants better anticipate the performance of a coffee when used as espresso. Students will learn strategies for dialing-in a new coffee, and also explore techniques for manipulating the profile of an espresso to best fit the desired customer experience. This workshop is designed for baristas of all skill levels. This workshop is designed to explore the measurement and control of heat transfer as it relates to the roasting process and the roasting machine. This hands-on session focuses on defining key terminology and concepts, investigating the nuances of using thermocouples, and manipulating the operation of a roaster through the use of typical controls. This workshop is designed for beginning and intermediate roasters who have a basic understanding of roasting operations. Organic acids are some of the most important and influential flavor compounds in coffee. This interactive workshop introduces participants to four of the most prevalent organic acids found in coffee. By deepening knowledge of chemistry behind taste, coffee professionals can better describe the product to their customers and have a better understanding of the chemistry behind the sensory experience. This workshop is well-suited for coffee professionals of all skill levels.